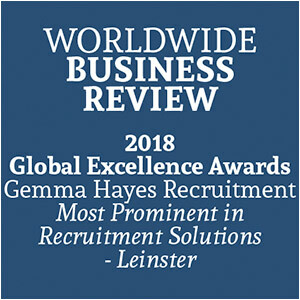 Established in 2006, Welcome to Gemma Hayes Recruitment on-line. Our aim is to find you a job and career that you will love and most of all enjoy. Thanks to our staff with over 15 years of hands-on Recruitment industry and sales experience, along with an enviable client list from small/medium enterprises to blue-chip organisations, we take the time to really get to know our jobseekers and work towards finding you that "Dream job". Getting to know you enables us to find your perfect working arrangement and working environment. Office L, Wexford Enterprise Centre, Strandfield Business Park, Kerlogue, Rosslare Road, Wexford.